If you had to, you could work on your bike wearing a garbage bag to protect your duds. We recommend you spend more. In return you’ll get more. Our shop aprons are made by our friends at American Native Goods, in a smallish town in northwestern Arkansas, a beautiful place in the Ozarks. They are two brothers with educational backgrounds in design, yet who grew up on a dairy farm. As a result, they value well-made stuff like we do. We’re proud they were willing to make this apron to a spec we all agreed upon. The fabric is 12oz. 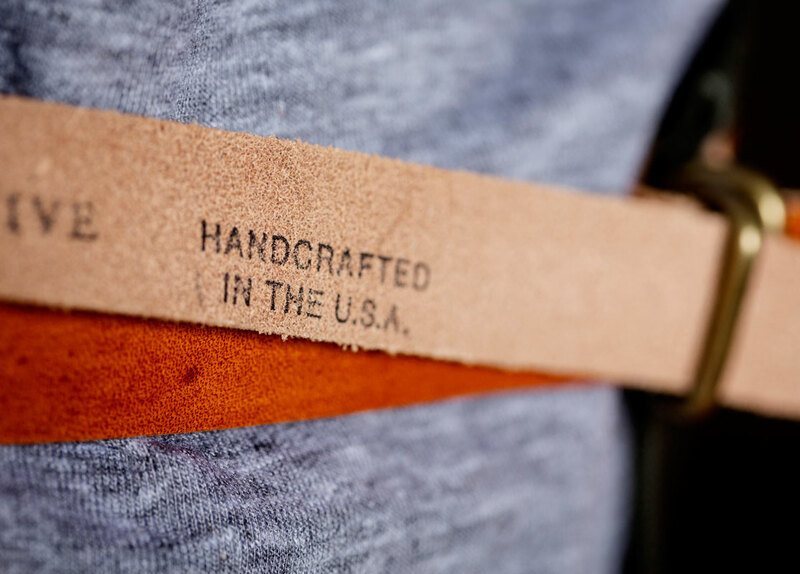 (per square yard) cotton canvas, milled in the U.S. by a South Carolina based textile mill. 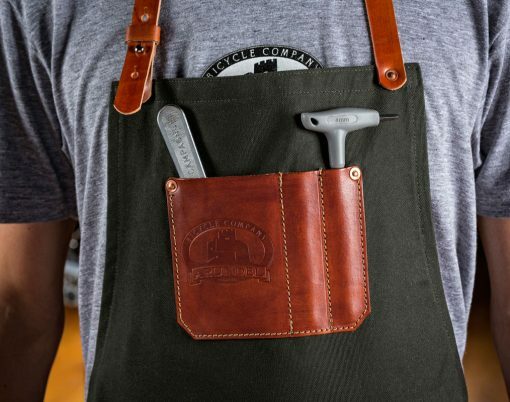 The leather is called “veg tan” and the reason this is worth mentioning is that leather comes in many flavors. Some are cheapo and some are more expensive but more durable. Ours is the latter. 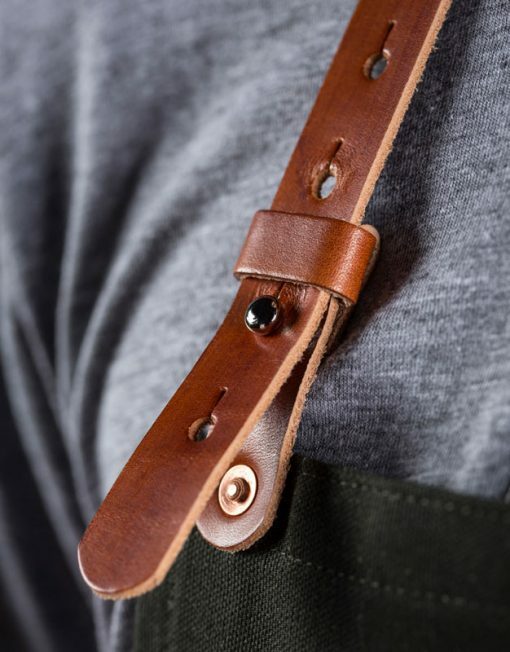 The rivets are copper, reinforced with bits of leather. The thread used is bonded polyester but Nylon is used on the leather pocket, both to avoid rotting. These are stiff when new but give it time to break in, like a favored pair of blue jeans. 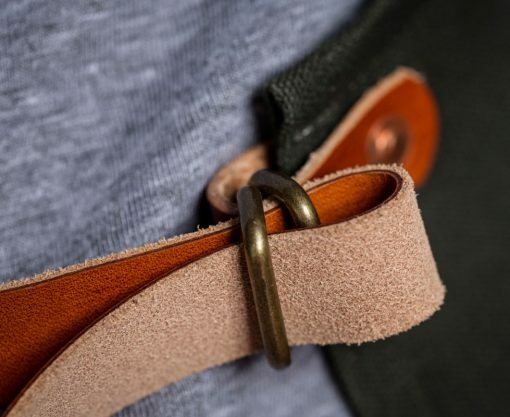 The neck strap and waist belt will also take a set to your shape, soon fitting like it was meant for you. 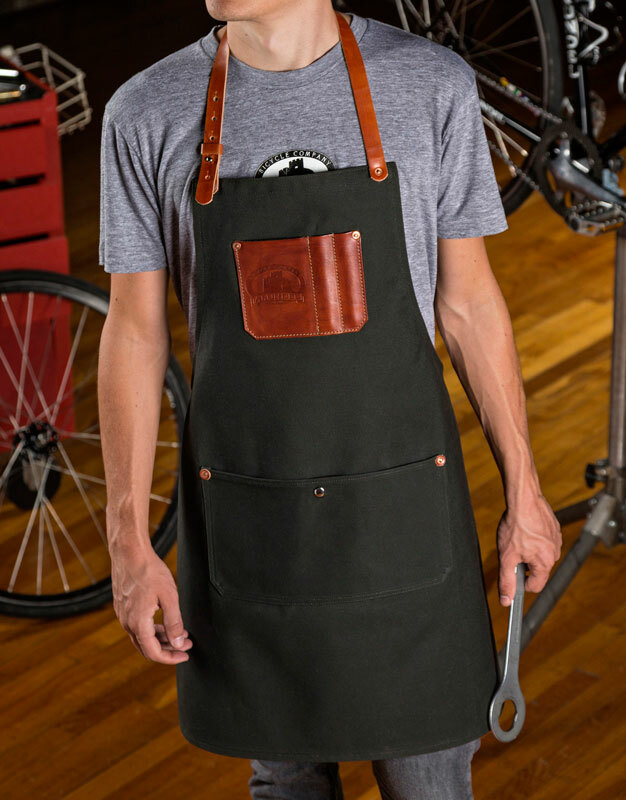 A good shop apron is one of life’s affordable pleasures. Not likely to give you a rash, cause a divorce or prevent you from winning Flanders. Not that it will help you either. 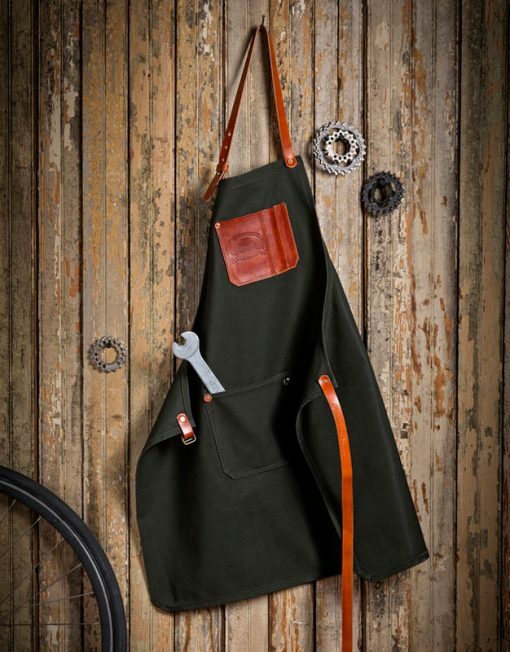 One size fits all, any color you want as long as its forest green with a brown leather pocket and straps.